We all know that iPhones have made a unique place in the world of smart phones and it is one of the leading players of mobile world. 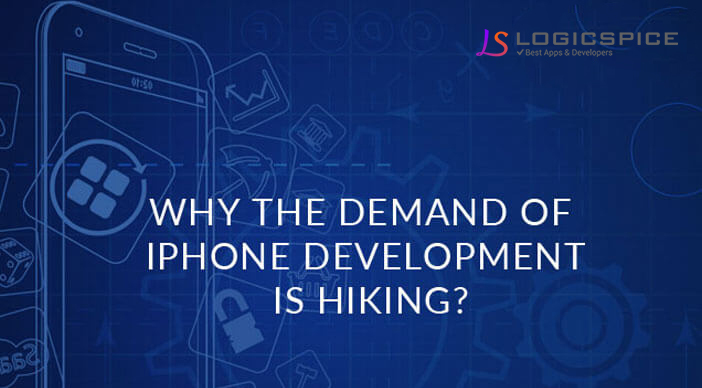 With the increase in demand of iPhones the need of iPhone application developers are also raising. Each software development company has now set up a separate wing for iPhone application development. Every business holder is now seeking to develop its own unique application that can reach to the iPhone users and in order to achieve this target one needs a skillful and experienced mobile application services provider to cater the required needs of the business. In order to get best out of the application for your business, it is inescapable to hire a professional iPhone application developer so that the needs of the business can be understood in a better way and get it done in a right way. One can search professional developers online or simply can approach a profound iPhone app development company. A software company will definitely provide you with a bunch of developers and one can choose the developer by interviewing him personally. The process of choosing the right developer is crucial because as a developer one needs to know how to focus on some of the important factors of the development. Some of the factors that one must focus while hiring inconclusive efficiently the software development kit. For any iPhone developer it is important to have a sound knowledge of software development kit in order to develop a successful app. A professional and experienced developer knows that for one sort of business there are hundreds of applications already persisting in the market and in order to make a place in such a big crowd and gain a lead one need to develop an outstanding application. This is totally dependent on how well the developer plays with the software development kit. A professional approach towards the development process can bring popularity to any app developer. The ethical way is to take review from the client after the completion of each stage and then proceed further towards the next stage while clearing the doubts from the client. Next comes the experience, a experienced developer takes comparatively less time in visualizing and converting those ideas into a operational and unique application. These experienced professionals know the in out of the field and can proven out to be a high return on your business.